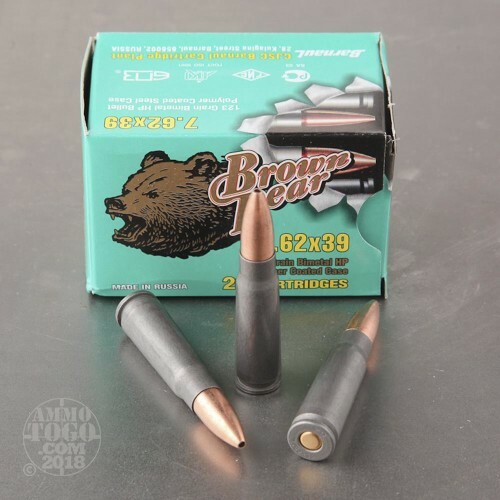 Manufactured by JSC Barnaul Machine Tool Plant in Russia, this 7.62x39 Brown Bear ammunition is perfect for the budget-conscious shooter. 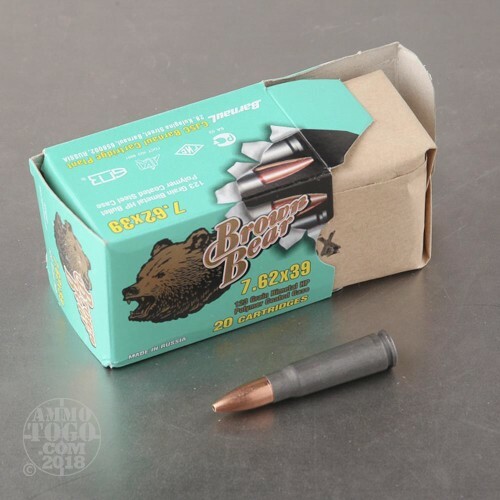 This high-quality, precision engineered ammo is loaded to exacting standards normally reserved for military specification ammo. Available at a surprisingly affordable price point, these loads are ideal for high-volume target practice and tactical range exercises. 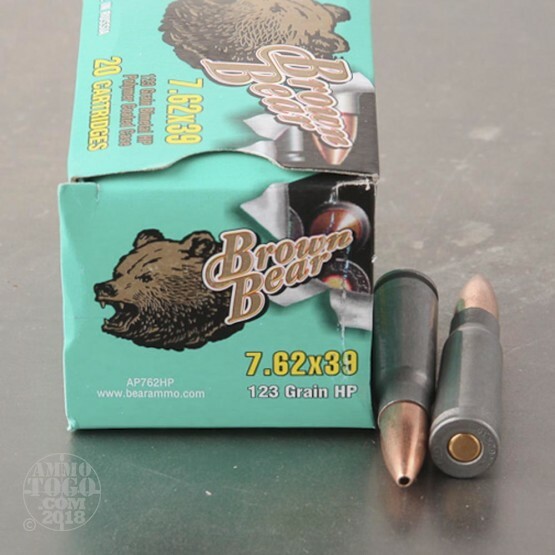 Loaded with 123 grain hollow point projectiles, this ammunition is designed for excellent terminal expansion. Each round features a polymer coated steel case and is sealed for moisture protection. 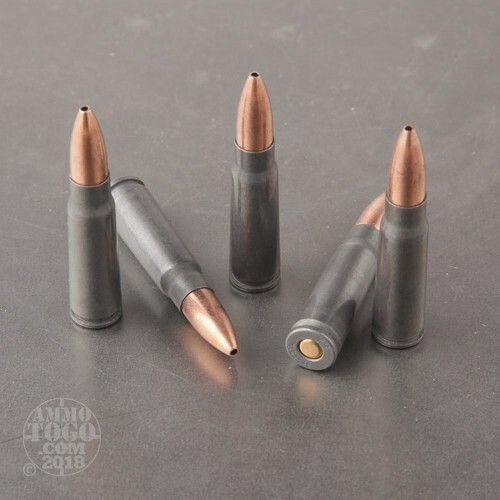 The special polymer coating makes these rounds perfect for long term storage and provides smoother feeding, function, and extraction than non-coated ammunition. Polymer-coated steel ammo is also lightweight compared to more traditional ammunition, making long-range transport a breeze. This new production ammunition is 100 percent non-corrosive and features Berdan primers. Each round produces a consistent muzzle velocity of 2404 feet per second and 1,568 foot pounds of energy.